Simple Double color style– The simplest and basic of all designs. Just put a base coat and when it dries up, put another coat in a contrast color with a help of design sheet. 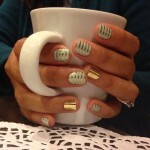 Try using nail paints with two different textures as the look good together. 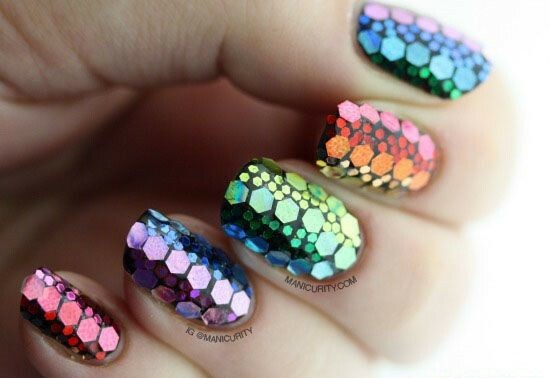 For example a mix of matte and gloss or matte and glitter and so on. 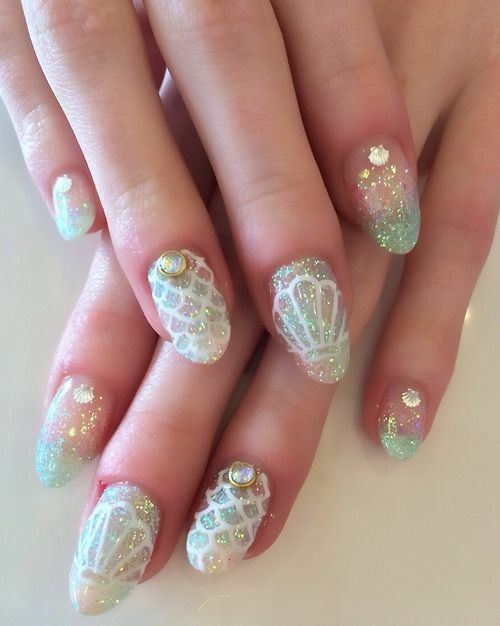 Asymmetric mermaid style– The mermaid design can be tried on alternate fingers instead of all of them, or can be done on the four fingers leaving the thumb or any one finger left out, done with just the basic shade. 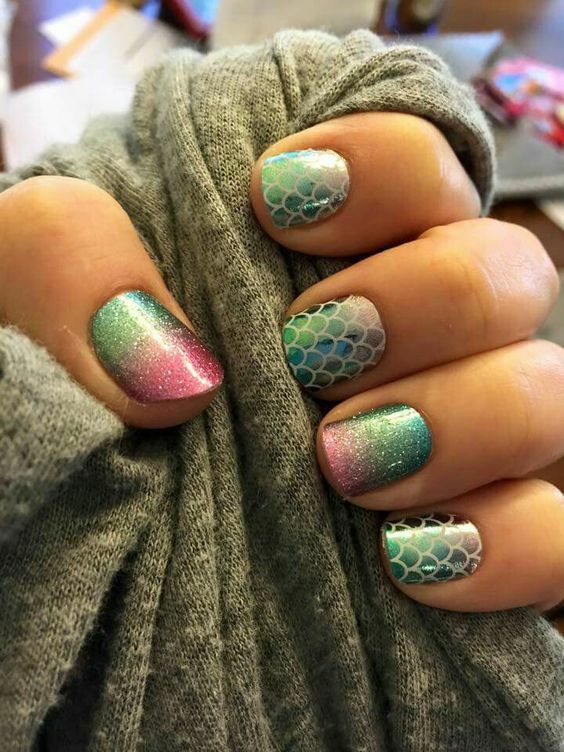 The colors can be inspired by the sand, beach and water for a better mermaid look. 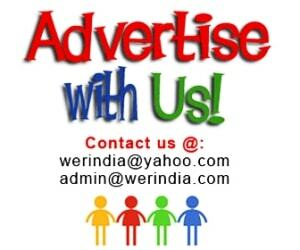 For example use light blue, shades of turquoise, pink, white. Glitter inspiration– If you do not want the mermaid texture to overpower your glitter look, but still want to flaunt it then this is the idea. Do it in a minimalistic yet powerful way by adding a super contrast shade for the texture to one of our finger. 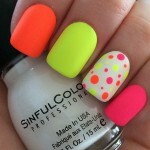 Neon Burst– Oh when it seems all dull and boring, add up some bright and neon colors to life. 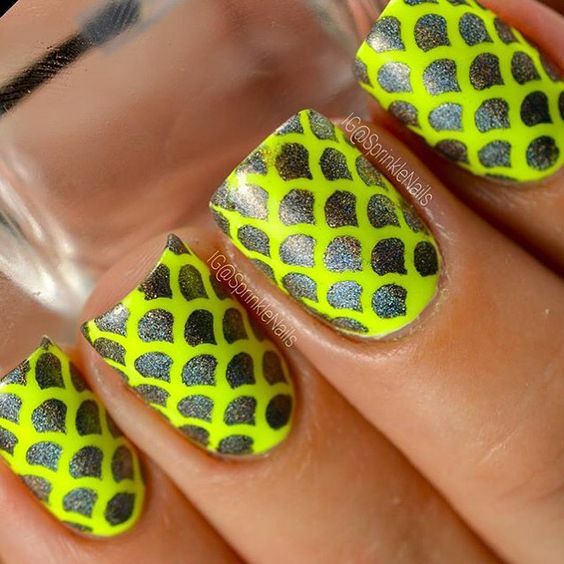 Try this super cute technique in neon shade, contrasting it with a neutral metallic shade. 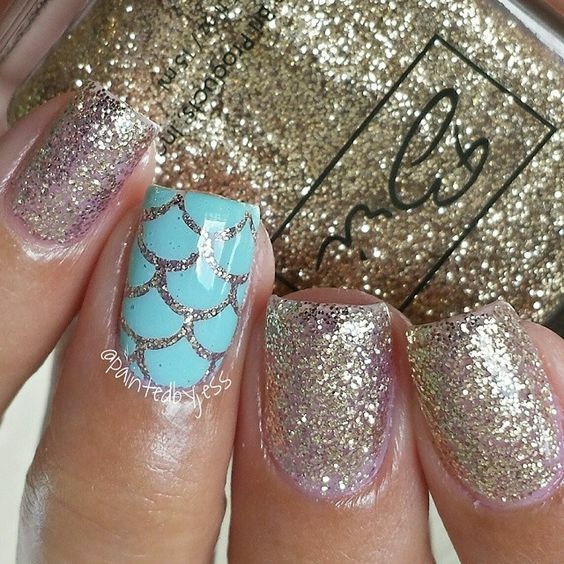 The natural look– Get the all natural look by putting a base coat of transparent glitter nail paint and then highlighting them with the mermaid texture. 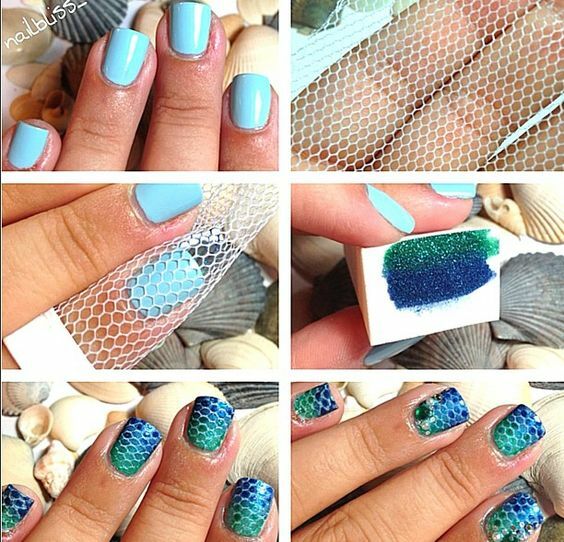 Few nail accessories like shells and stones can also be used. 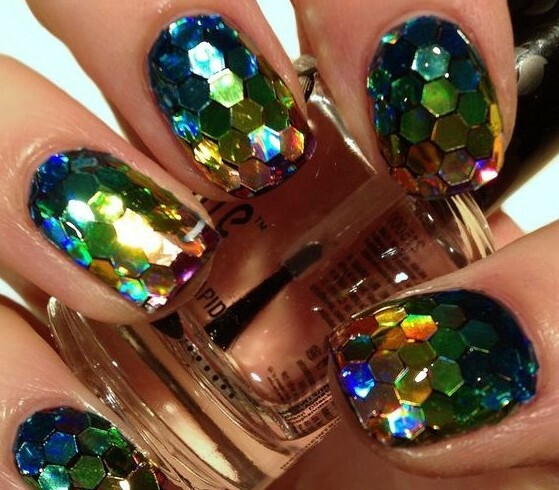 Mermaid Glitter nails– Well if you want a more precise texture, then a glitter mermaid look is best for you.